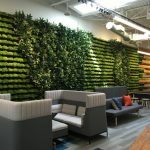 CallisonRTKL’s Jodi Williams and Stefana Scinta conclude their series on how technology, inter-connectedness, environmental change and flexibility are key features in the workplace of the future. PLASTARC’s Melissa Marsh explains how activity-based working has positive impacts on the mental, physical, and social health of the workplace. As organizations are finally waking up to the reality that people are their most valuable and important asset, Kate Lister breaks down the ROI of employee well-being. 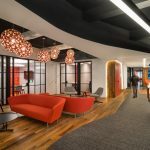 Although Sodexo has been around for 50 years, it’s important to CEO Lorna Donatone that their workspaces reflect a culture that is diverse, inviting, and constantly evolving.